Its summer time and the heat has already begun to take its toll on the health of the people. Many people plan to move to cooler places during this period as most of the school examinations get over by April end and it is time for Summer Vacations. Vacation also means planning of various events. viz shifting of house, planned surgeries etc. When we talk about planned surgeries it would not be out of place to mention that there is always a dearth of blood collection during the months of April and May. Since it is vacation time, Donors are few in number. This is precisely the reason why Shri Aniruddha Upasana Foundation and its sister organisations viz. 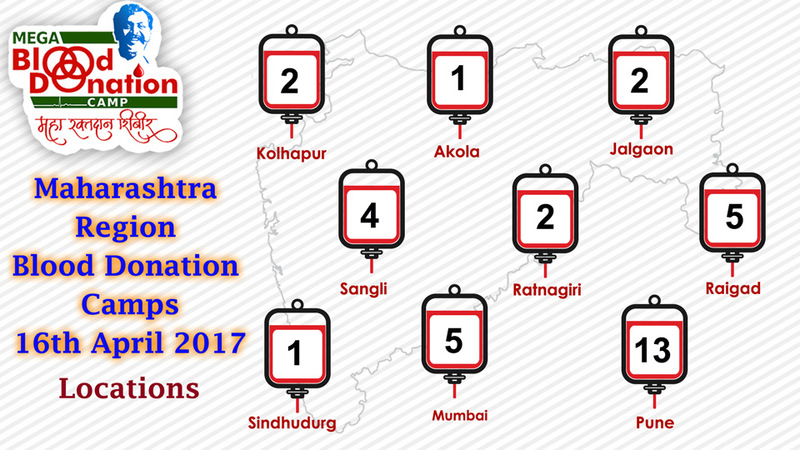 Dilasa Medical & Rehabilitation Trust, Aniruddha’s Academy of Disaster Management etc arrange a Mega Blood Donation Camp every year, in the month of April. This Mega Blood Donation Camp is done at the request of State Blood Transfusion Council (SBTC). 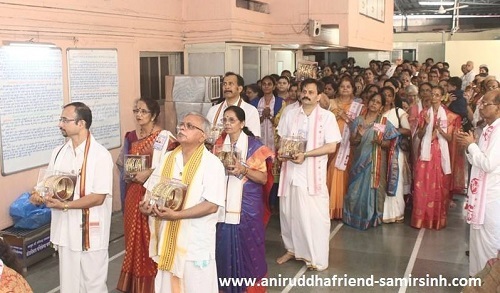 These blood donation camps are being organized by Shree Aniruddha Upasana Foundation since the year 1999 under the guidance and inspiration of Sadguru Aniruddha Bapu. A major milestone was achieved in the year 2015 when the overall donation of blood bottles since the year 1999 across all “Aniruddha Upasana Centres” crossed the 1,00,000 mark. This year the camp would be held on Sunday, 16th April 2017 at Shree Harigurgram, New English High School, Bandra East. Let us all participate in large numbers and extend our bit towards this noble cause. 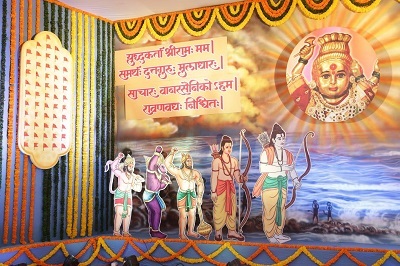 The festival of Ram Navami was celebrated with great fervor on 4th of April 2017. 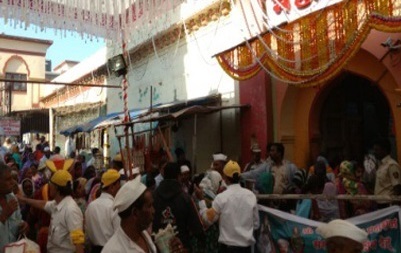 A large number of Shraddhavans participated in the various events held during the utsav. On the request of Wirecom (India) Pvt. Ltd., a refresher session on First Aid and CPCR lecture along with rescue methods i.e. mainly transportation of casualties by lifting methods, bandages, etc. was conducted at Wirecom (India) Pvt. 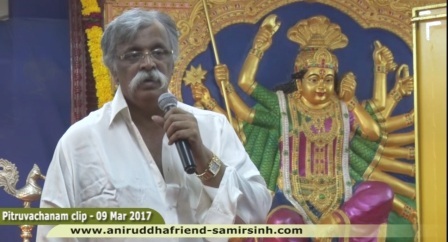 Ltd. on 11th March, 2017. All the staffers of Wirecom (India) Pvt. Ltd.) attended the refresher session. 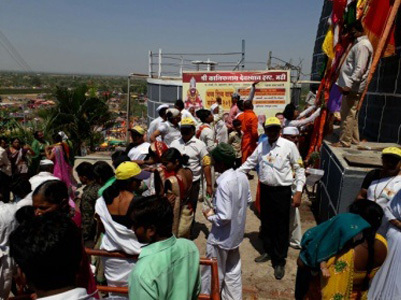 At the request of the Trustees of Saint Shree Tukaram Maharaj Sansthan, Dehu, Aniruddha’s Academy of Disaster Management (AADM) deployed Disaster Management Volunteers (DMVs) for controlling crowd on the festival of Saint Tukaram Maharaj Beej on 14th March 2017 at Dehu Temple, Dehu, Pune. 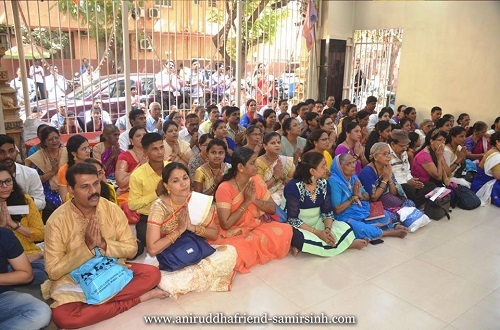 80 DMVs from 7 Sadguru Shree Aniruddha Upasana Kendras of Nigdi, Chinchwad, Dehu Road, Bhosari, Pimpri, Shinde Vasti and Talegaon participated in the seva. 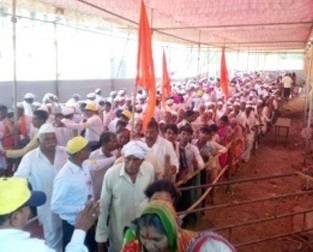 On the request of the authorities of Shree Sant Eknath Maharaj Vishwast Mandal, Paithan and Paithan Police Station, Aniruddha’s Academy of Disaster Management deployed 340 ( Male: 201 + Female: 139 ) Disaster Management Volunteers from 29 Sadguru Shree Aniruddha Upasana Kendras for controlling crowd and Medical Check up at Paithan, Aurangabad, from 17th March to 20th March 2017 on the auspicious occasion of ‘Nath Shashthi’ festival. On the request of the authorities of Shree Kanifnath Devsthan Trust, Madhi, Aniruddha’s Academy of Disaster Management, offered its services for crowd management at Kanifnath Devsthan, Madhi, on 17th March, 2017. 44 Disaster Management Volunteers from 8 Sadguru Shree Aniruddha Upasana Kendras namely from Sawedi, Rahata, Shreerampur, Sangamner, Akole, Sanjivani, Nilwavnde and Sangamner City participated in this seva. On the request of Shri. 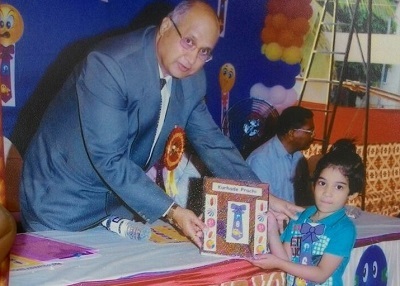 Sudhir Naik, Dy. 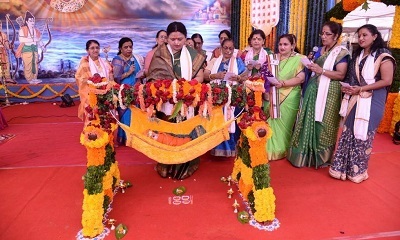 Municipal Commissioner, Mumbai Municipal Corporation, Aniruddha’s Academy of Disaster Management, offered seva for controlling the crowd which had gathered for viewing Penguins at Veermata Jijabai Bhosle Udyan. 46 DMVs participated in the seva on 25.03.2017 and 116 DMVs participated in the seva on 26.03.2017. This seva will be continued for a further period two months. The seva will be done in two shifts on every Saturday and Sunday. 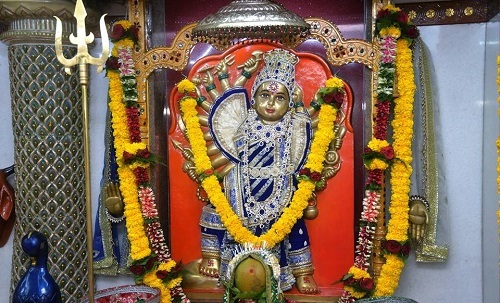 Every year chanting of Hanuman chalisa is performed at Shree Aniruddha Gurukshetram for a minimum of 108 times each day. 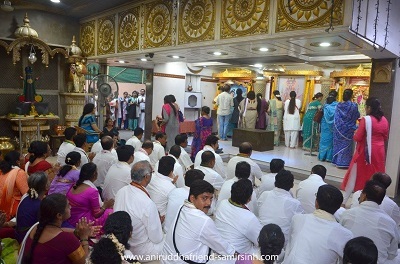 The chanting would begin at 8 am and would end at around 8 pm on all days.